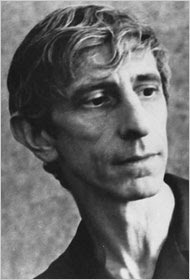 Books & other thoughts: Lloyd Alexander has died. It always makes me feel a sharp sense of loss when a favorite writer dies. I'm sad for their family and friends, of course, but also so sad for all the books that they will never be able to write. I wonder what happens to those books. Do they drift out into the collective unconscious, where other writers, inspired by or with an affinity for that writer's work, somehow gather them up and make them their own? oh that's so sweet Darla, its funny I did a similar thing when I heard a particularly favorite romance author of mine was sick, I was sad for all the untold stories. Thanks, VA Gal. I have to admit I was a bit surprised by how hard his death hit me. I hope your favorite author is better now! Oh, and welcome back. I missed you!